It’s a Fish Frenzy at Fancy Flours! 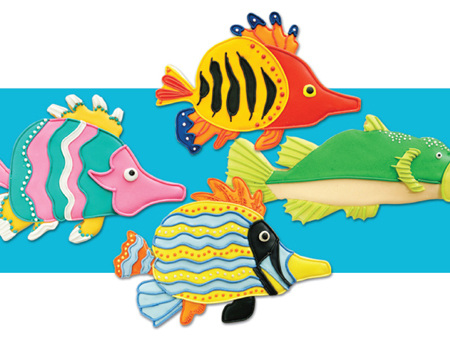 Celebrate reeling in the “big” one with our fun fish-themed cutters, cupcake picks, and sugars. Enjoy 25% off with our sale at fancyflours.com! Check out our Tropical Fish and Trout Cookie Recipe to make these colorful cookies yourself. This entry was posted in Cookie Recipes & Ideas, Summer Fun Baking and tagged cookie, fish, summer, tropical, trout by Fancy Flours. Bookmark the permalink.